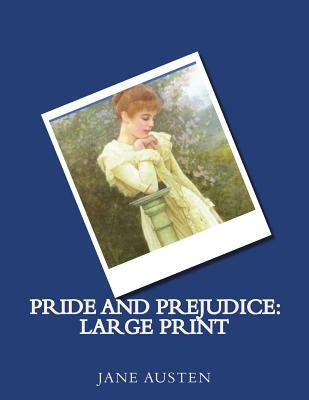 Pride and Prejudice by Jane Austen Pride And Prejudice, the story of Mrs. Bennet's attempts to marry off her five daughters is one of the best-loved and most enduring classics in English literature. Excitement fizzes through the Bennet household at Longbourn in Hertfordshire when young, eligible Mr. Charles Bingley rents the fine house nearby. He may have sisters, but he also has male friends, and one of these-the haughty, and even wealthier, Mr. Fitzwilliam Darcy-irks the vivacious Elizabeth Bennet, the second of the Bennet girls. She annoys him. Which is how we know they must one day marry. The romantic clash between the opinionated Elizabeth and Darcy is a splendid rendition of civilized sparring. As the characters dance a delicate quadrille of flirtation and intrigue, Jane Austen's radiantly caustic wit and keen observation sparkle. We are delighted to publish this classic book as part of our extensive Classic Library collection. Many of the books in our collection have been out of print for decades, and therefore have not been accessible to the general public. The aim of our publishing program is to facilitate rapid access to this vast reservoir of literature, and our view is that this is a significant literary work, which deserves to be brought back into print after many decades. The contents of the vast majority of titles in the Classic Library have been scanned from the original works. To ensure a high quality product, each title has been meticulously hand curated by our staff. Our philosophy has been guided by a desire to provide the reader with a book that is as close as possible to ownership of the original work. We hope that you will enjoy this wonderful classic work, and that for you it becomes an enriching experience.